One Size Fits Most (Teen - Adult Woman). 3rd Loop - Some rows call for the stitches to be completed in the "3rd loop". Instead of putting your HDC in the top loops, reach your hook past the back loop where you'll find a 3rd loop on the side of the stitch. Insert your hook there to create your HDC. This forces both of the top loops to rest on the front of your project, creating a ribbing effect. In other patterns it is also referred to as a Camel Stitch or RibHDC. (3) Even though this pattern is worked in joined rounds, it is recommended that you keep a stitch marker or two handy. I found that placing a stitch marker in the first and last stitches of my rounds really helped me to not get confused about my starting and ending stitches. When working back and forth between regular loops and 3rd loops (beginning on Round 7), it can be hard to tell which stitch is technically your last stitch of the round... and, when we start turning our rounds during the SC+HDC texture in Round 11, it's just easier to keep track of where to place your stitches. (5) It goes without saying, but count your stitches! Once you're done increasing, you should consistently have 100 stitches per round (until you get to the band). Note: At this point you should have a floppy-looking circle. This is a good thing. It will continue to get floppier as we increase, and then it will smooth itself out on the body of the hat. That's how we create the cinched look on the top. Note: Joining and turning while working in the round is something you don't see very often in patterns, and that little slip stitch at the end of the round can really throw you off because when you turn, it looks like a stitch... but it's not, and needs to be ignored. This is where using a stitch marker will really come in handy. Just before you SL ST to the first SC in Round 10, mark your final stitch of the round with a stitch marker (1st photo). Then do your join (2nd photo). When you move on to Round 11, CH1 and turn as per the instructions (3rd photo). When instructed to SK the first ST, you'll know to skip right over the stitch marker and do your first SC+HDC in the stitch immediately following it (4th photo). Note: At some point around Round 33, you may want to check the band of the hat to see if it's measuring about 10 inches. If it's measuring much bigger than that, you may want to grab a smaller hook to finish things off. Next post: Tabby Chic Cat Bed with GIVEAWAY! That looks beautiful! I would love to make one. Here in Texas, we don’t wear them quite so much. Thanks for all of your lovely patterns. I made the South Haven Slouchy, and I love it even though I don’t usually like slouchies. 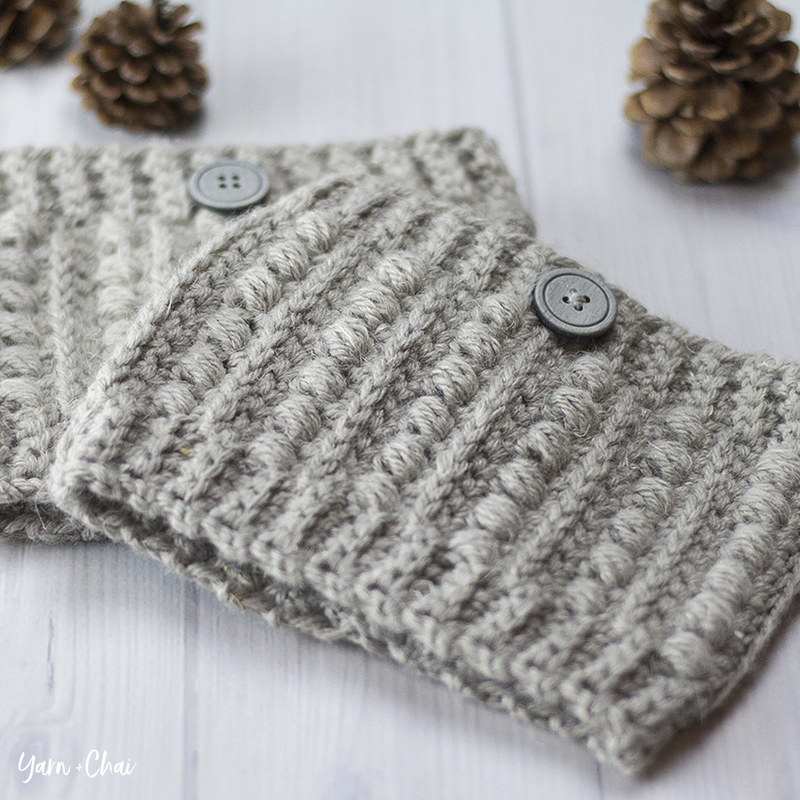 I used it throughout the fall–it was perfect as the weather was getting colder. I’ll have to try this one for spring. Thanks! This is so cute I’m tempted to make it today,even tho its going to be in the 70s where I live haha . Thanks for the pattern ! So pretty! 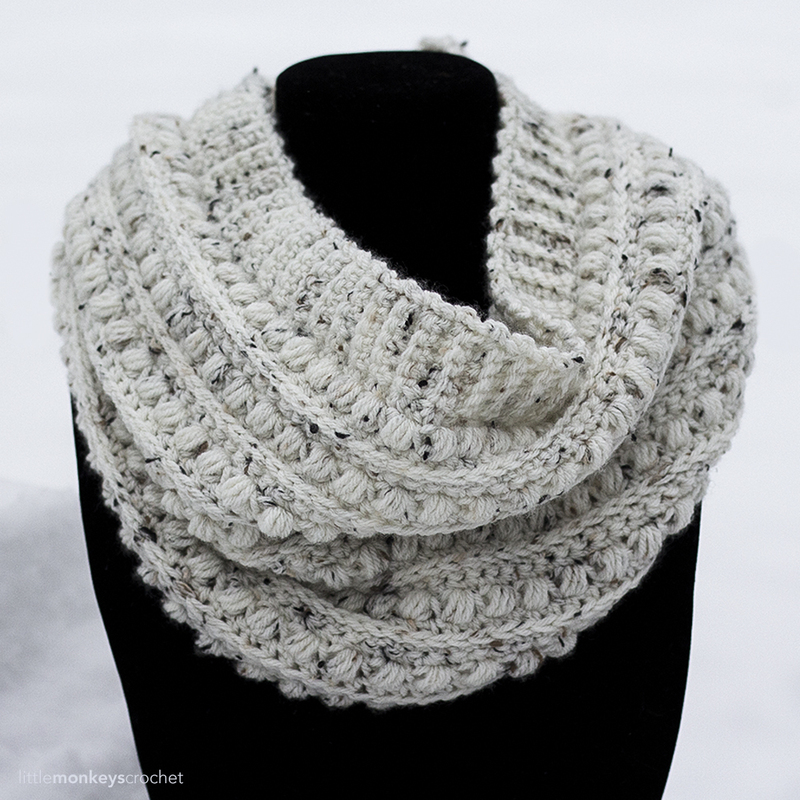 I made your south haven slouch and loved it! I wanted to make a warmer one with wool, but didn’t want 2 of the same hat. Thank you for the new pattern! I’m going to make this one this weekend! 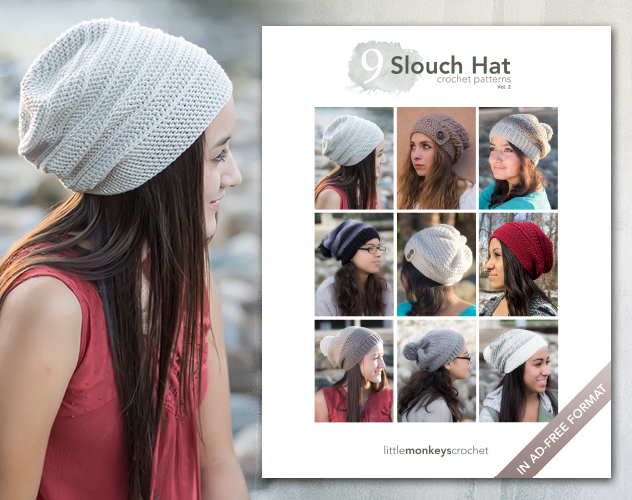 If you wanted to make the hat more slouchy, ie add more length, which rounds would you recommend repeating? Made this with Caron simply soft with a few tweaks in the stitch count. It came out fabulous! I can’t wait to get the recommended yarn and make it again! How did you tweak the pattern? 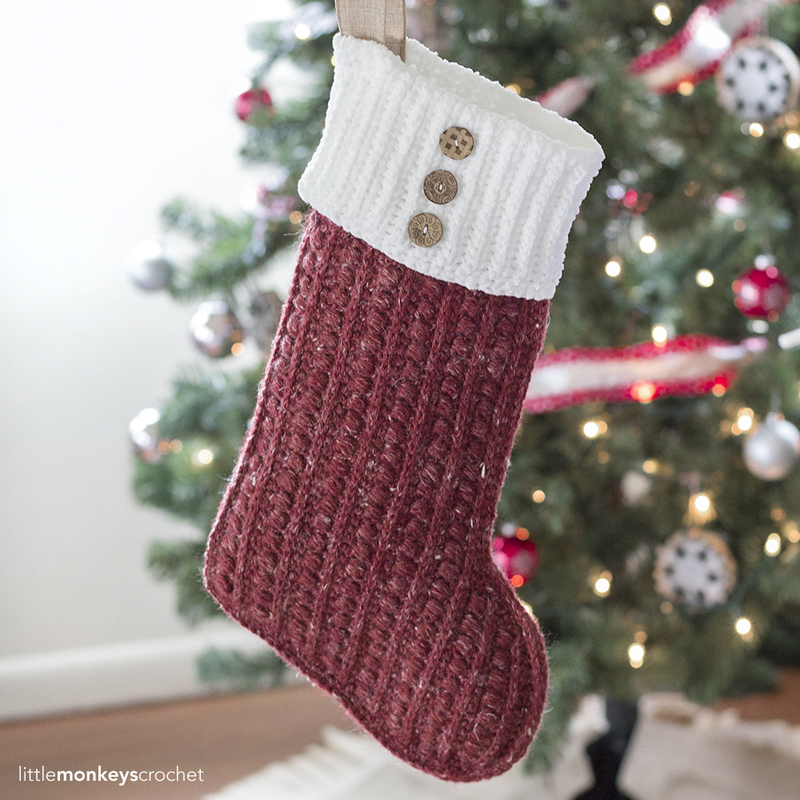 Trying to make this with the same yarn. Very cute ! Love it and thanks for sharing with us. Very cute ! Want to make one of these. Please advise on the rest as far sending me the books and the price. I’m just curious, how did you come up with the name for the pattern?? Aww 🙂 You could try adding a few more rows? yes ! i’ll tell you how it is ! 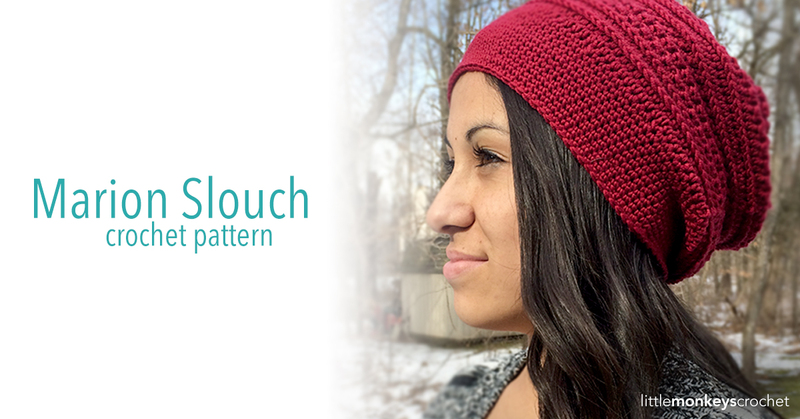 Oh my gosh Rebecca – yet ANOTHER adorable slouchy!!!! cancell my subscription. thanks. Maraget. I’ve responded to both of your comments above and informed you that my patterns are not available in book form. I have unsubscribed you from my e-mail newsletter. I belong to a group that makes hats for people who are going thru Chemo, or have lost their hair for other reasons. This pattern would be perfect. Do I have your permission to share this pattern with the ladies of our group? Thank you. I love this pattern, I have just finished it (literally!!) and as its very windy in England today, I think I should wear it straight away. Just finished one for myself! Love it and can see me making a few more for gifts this year!! I made this hat for one of my girls. It is her favorite hat! And she looks adorable in it! Thank you for the pattern. Hiya I’m really enjoying making this hat and I cannot wait to wear it, but I’m stuck on round 27, once I’ve sc the next 8 stitches what do I do? Im new to following patterns so your help would be greatly appreciated. Hiya I’m really enjoying making this hat, and I cannot wait to wear it, but I’m stuck on round 27, once I’ve sc in the next 8 stitches what do I do? Im new to following patterns, so your help would be greatly appreciated. Repeat what is in the parentheses until you finish the round . So sc2tog, 8sc, repeat. Thank you for providi g me with this pattern i hope your little biy is bringing you much joy. This has to be one of my favorites! I used worsted weight yarn using an f hook to obtain gauge. Is there another way to make it with worsted weight and a bigger hook with less stitch count maybe ? I was looking for a crochet hat pattern a beginner like me can make that was a bit more fancier than a hat being all in the same stich. This was perfect! I finished the project in a day and loving the finished product. Thank you for sharing this pattern and including easy to follow explanations of the different stitches. Just made this with Caron Simply Soft in an emerald green color. It’s stunning! Perfect amount of slouch and fits perfectly. Thanks! I’ve made a couple of these hats (Marion slouch), and I wondered how your hat seam looks. Mine aren’t as neat as I would like it. Do you have any suggestions for a cleaner seam? Thanks in advance. I rarely comment, but I just want to thank you for this beautiful hat pattern! I have made quite a number of different hats from different blogs and of all of them, this is my favourite! 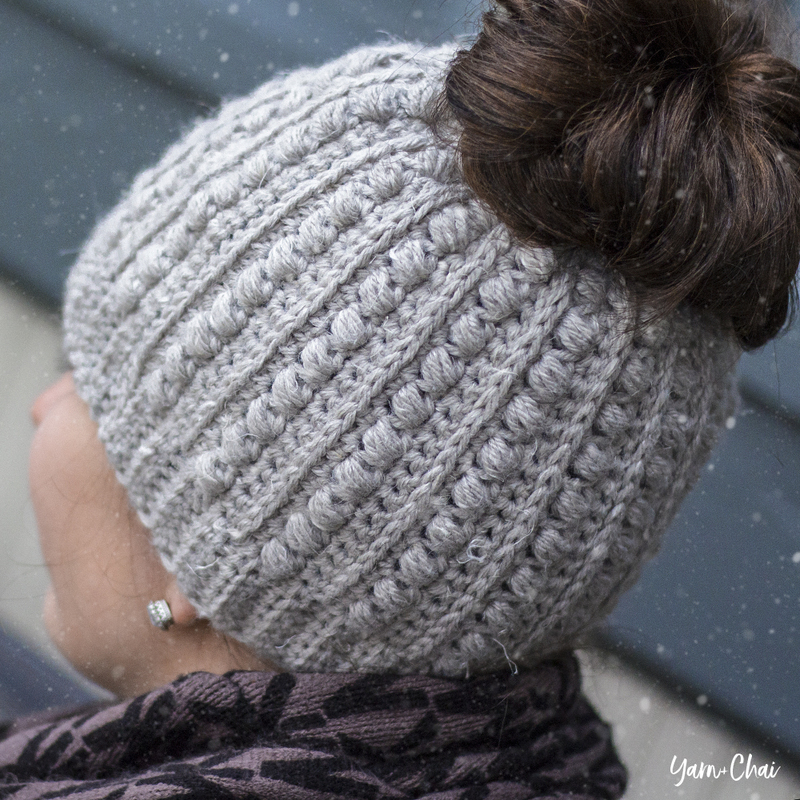 Aside from the lovely stitch pattern, what makes this hat stand out is that it’s worked from the top down, so no need for cinching the top, and it allows us to customise how long we want the border/band to be. Just want to compliment you on your excellent, clear instructions! It’s nice to be able to follow a pattern and have such thorough explanations of new stitches, where to place markers, etc. I’m making this as we speak. I’m usin Caron simply soft. It’s says it’s #4 yarn. I just finished row 21. It looks huge. It’s alre 8” long. I used H hook. Would the yarn make a difference? In this case, yes. The yarn I used is a #3 weight.